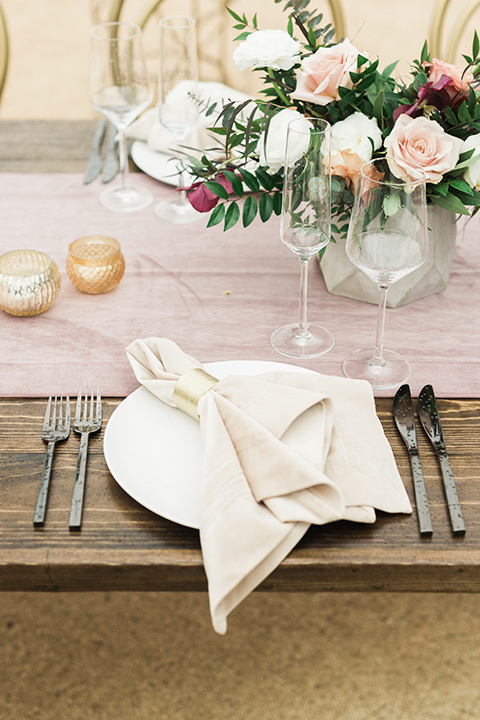 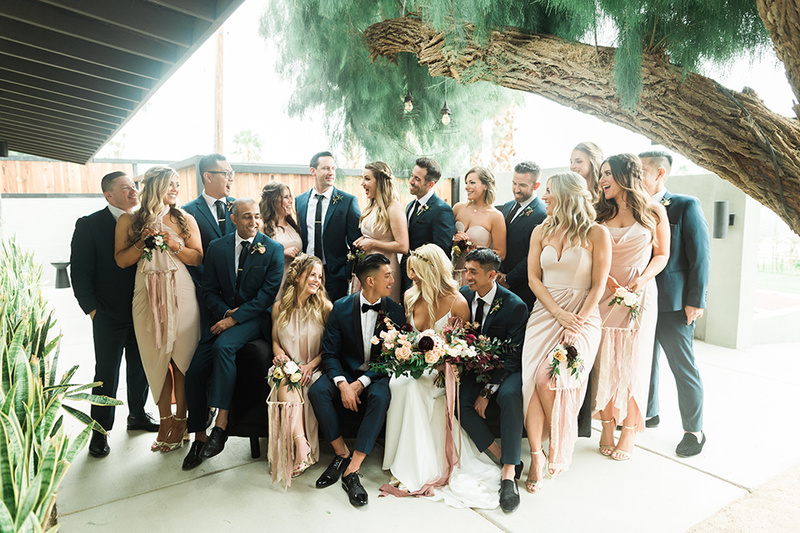 Have you ever wondered what a wedding planner's wedding would look like? 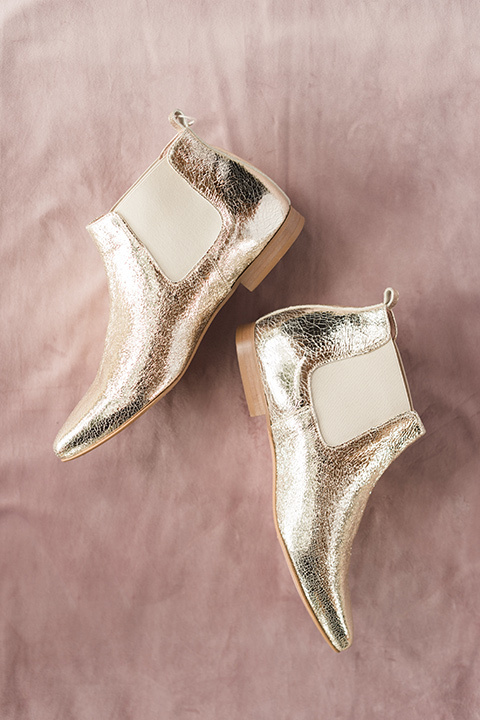 Well the answer is: flipping awesome. 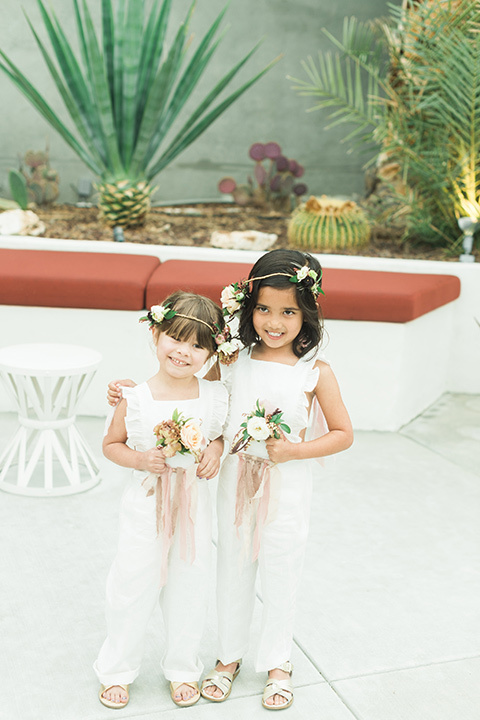 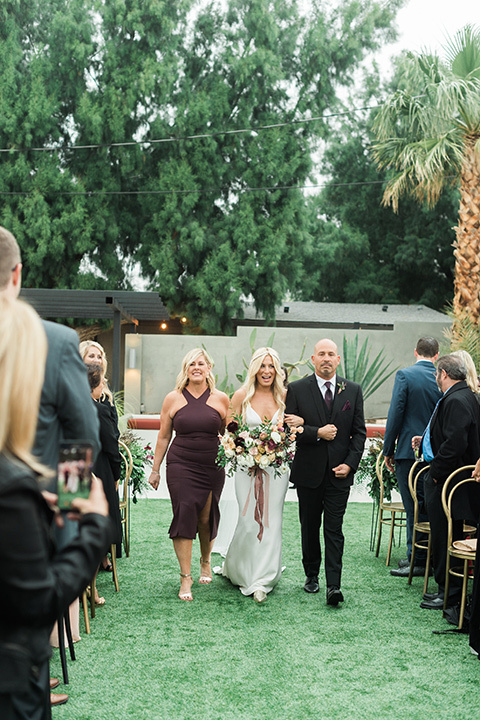 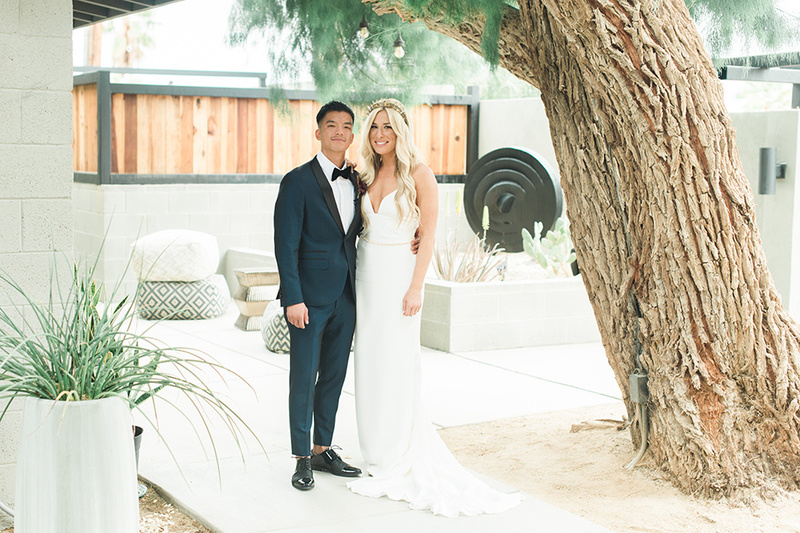 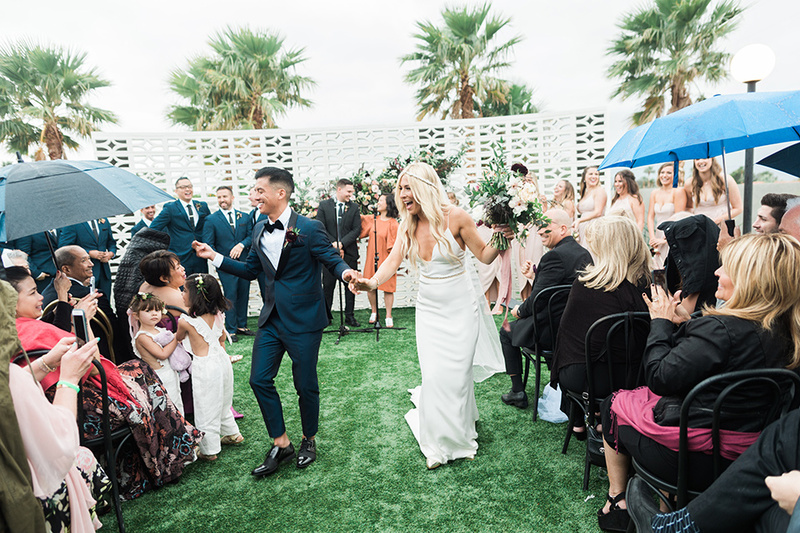 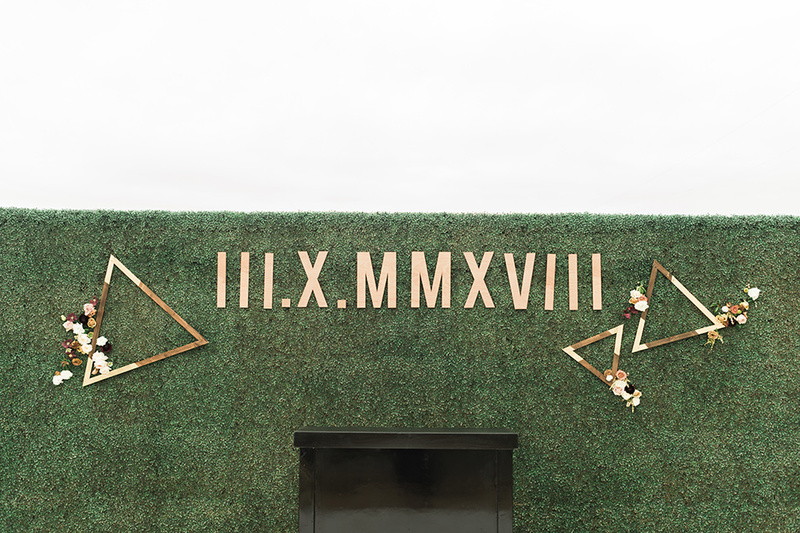 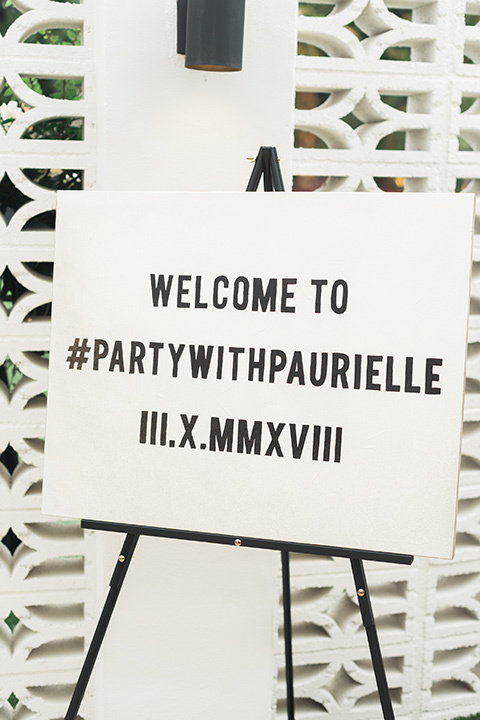 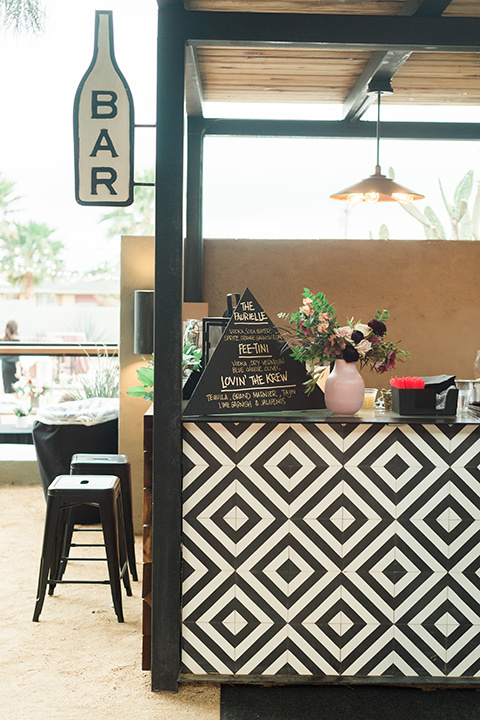 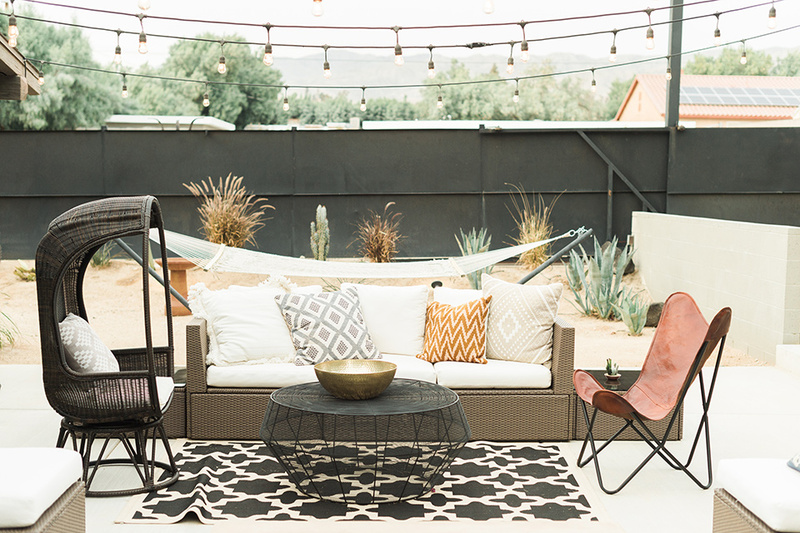 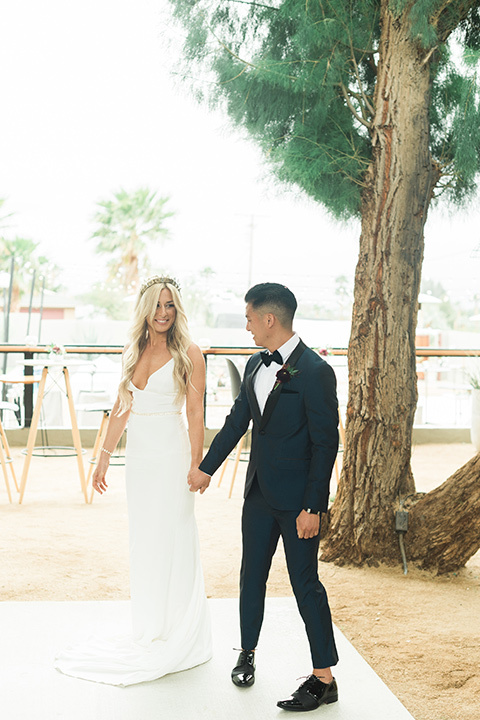 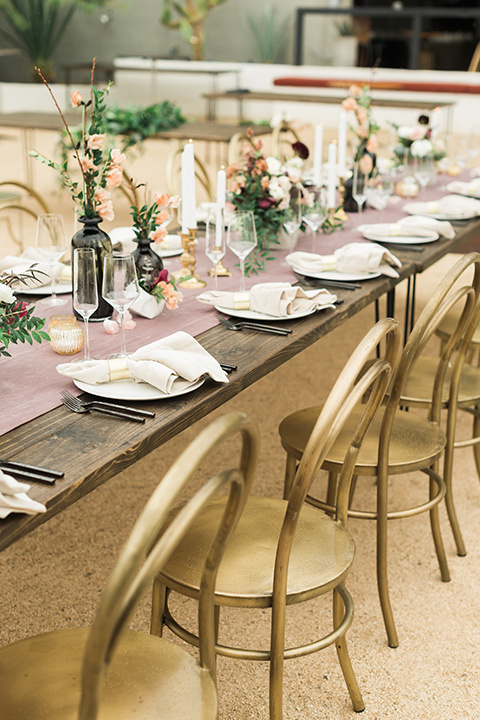 We've included a full gallery of Arielle Chapman of LVL Events gorgeous Palm Springs wedding as well as our professional summary of the coolest elements they included in the day. 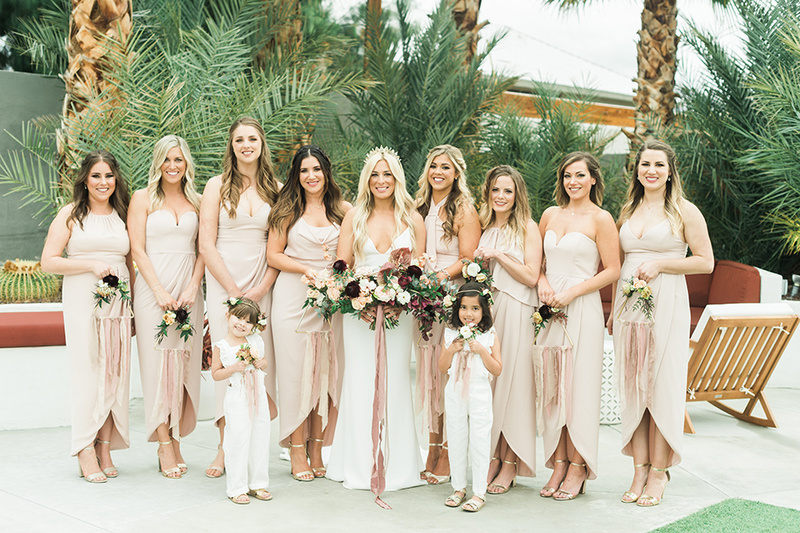 First off, when planning a unique Palm Springs wedding, choose a venue that speaks to the style you want to create for your day, there are lots of wedding venues from huge resorts to boutique hotels each with their own style, PLUS there are plenty of private estates that can be rented to create an intimate and never-before-seen event! 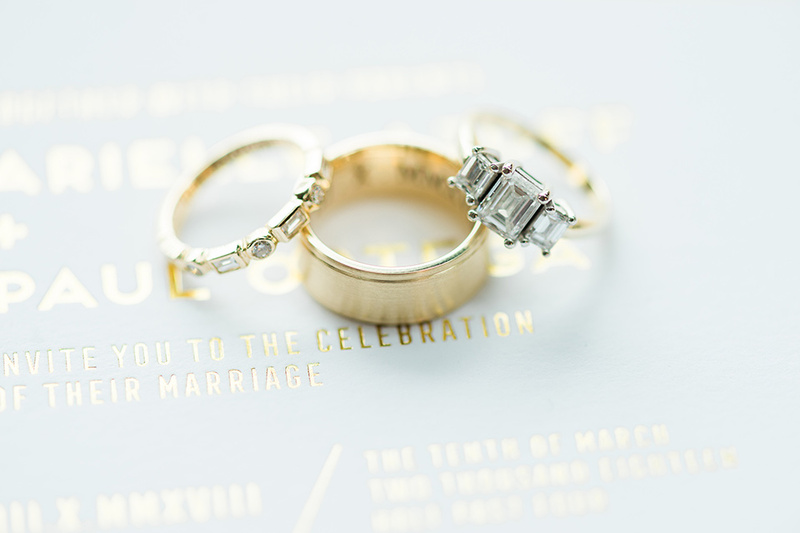 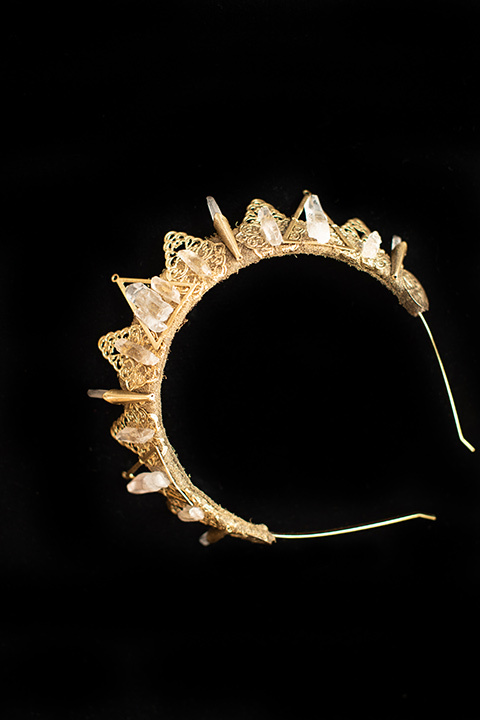 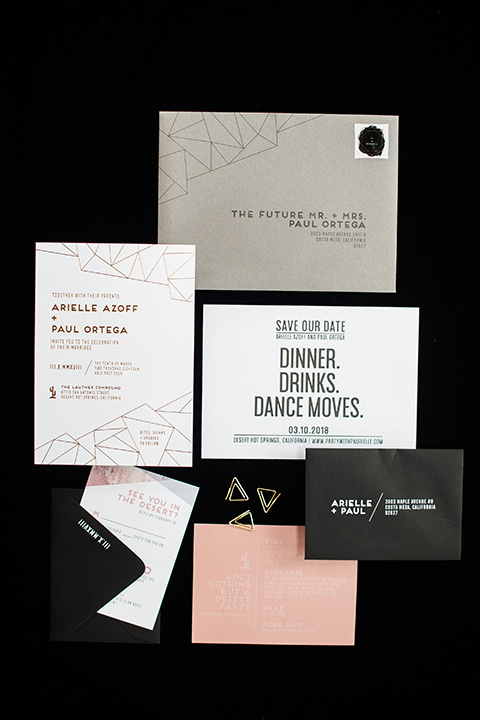 Arielle and Paul's private estate wedding design included gold geometric shapes on the invitations and gold accents throughout even including the brides gorgeous gold and natural crystal tiara. 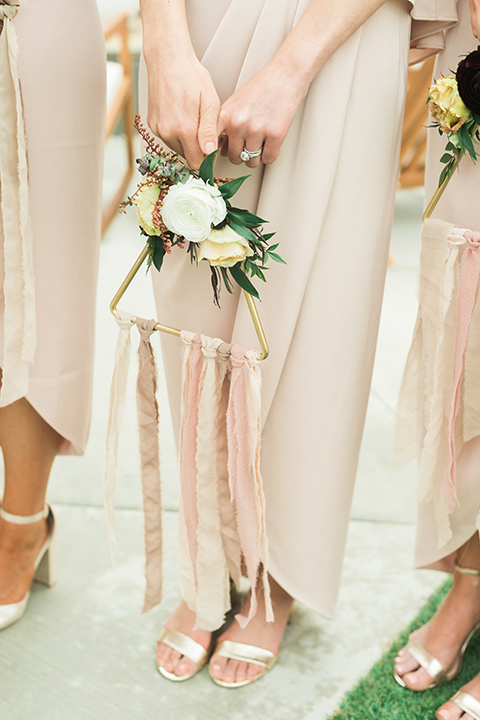 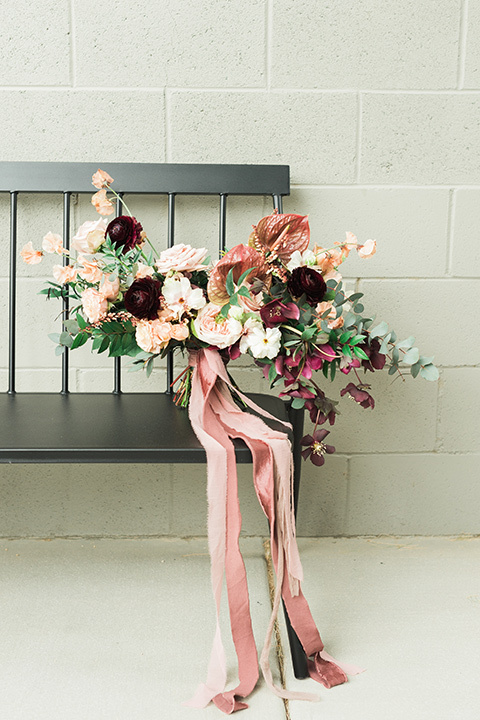 The bridesmaids wore a mixture of beige bridesmaid gowns with various silhouettes and carried metal, floral and ribbon "bouquets" which we have never seen before! 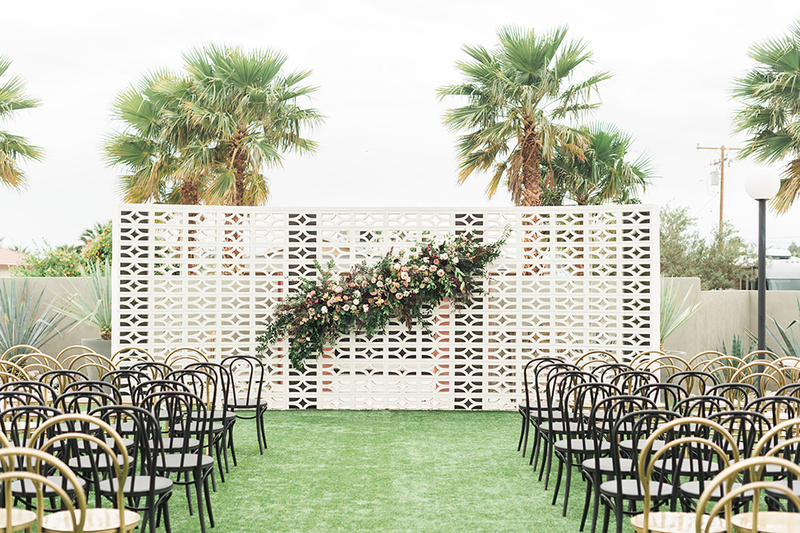 On the topic of florals, check out the ceremony arrangement on the quintessential Palm Springs white cinder block wall, a beautiful pink rose and greenery display that we love. 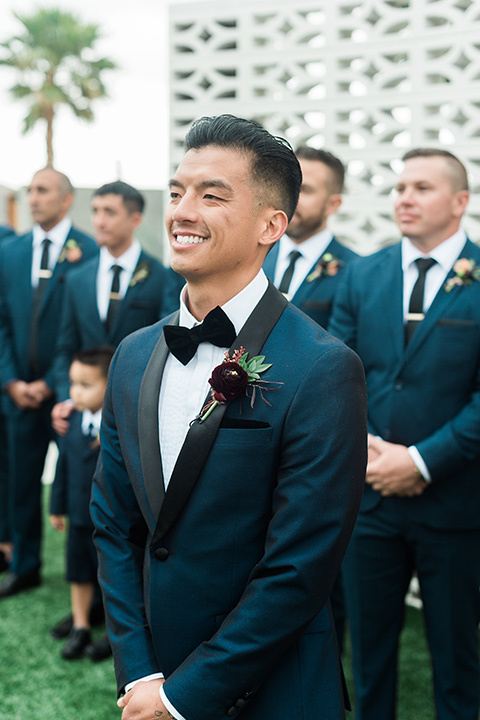 For the groomsmen, they could have done a few different styles- from grey suits to black tuxedos, even tan/brown suits, this neutral palette allows for many options in menswear but we think they made the perfect choice with the groomsmen and groom in navy tuxedos which are elegant but also add some fun. 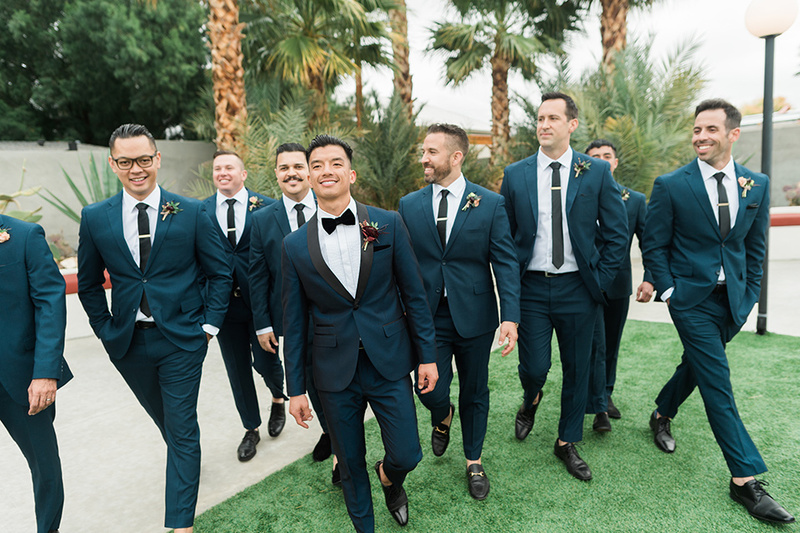 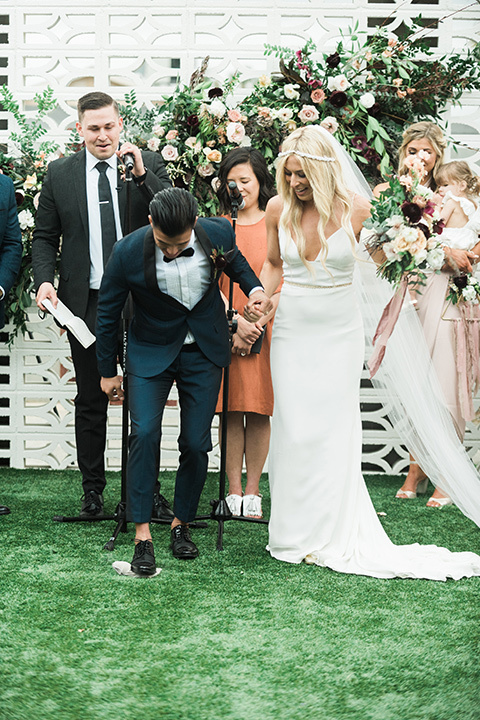 The whole wedding party wore the tuxedo pants cropped with no socks and tuxedo shoes for a trendy, fashion forward look. 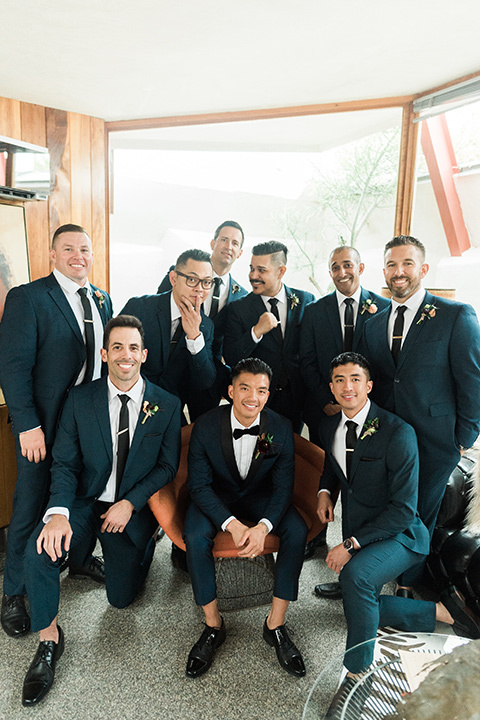 And the groom stood out with a black bow while the groomsmen paired long black ties with their blue tuxedos. 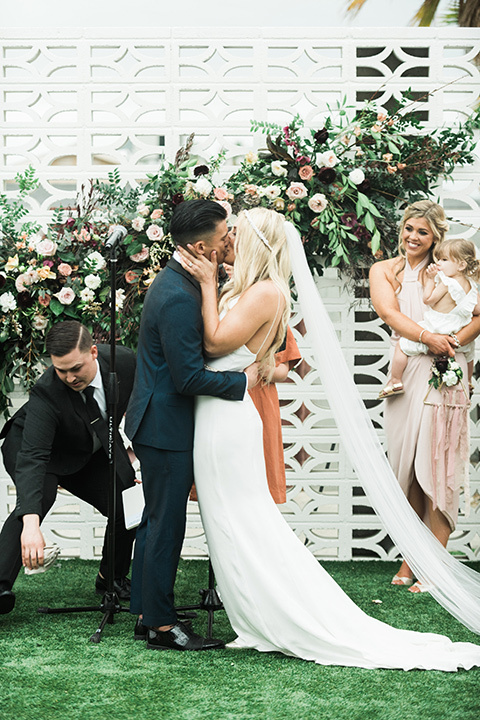 Overall this wedding is perfection and we hope you enjoy it as much as we did!